Volunteers are needed on-site at the Hunger Hike 5K Run on Saturday, September 19th as well as the Hunger Hike Kick-off event on Sunday, September 20th. To see more specific times and tasks—and to sign up, click HERE and select Hunger Hike. 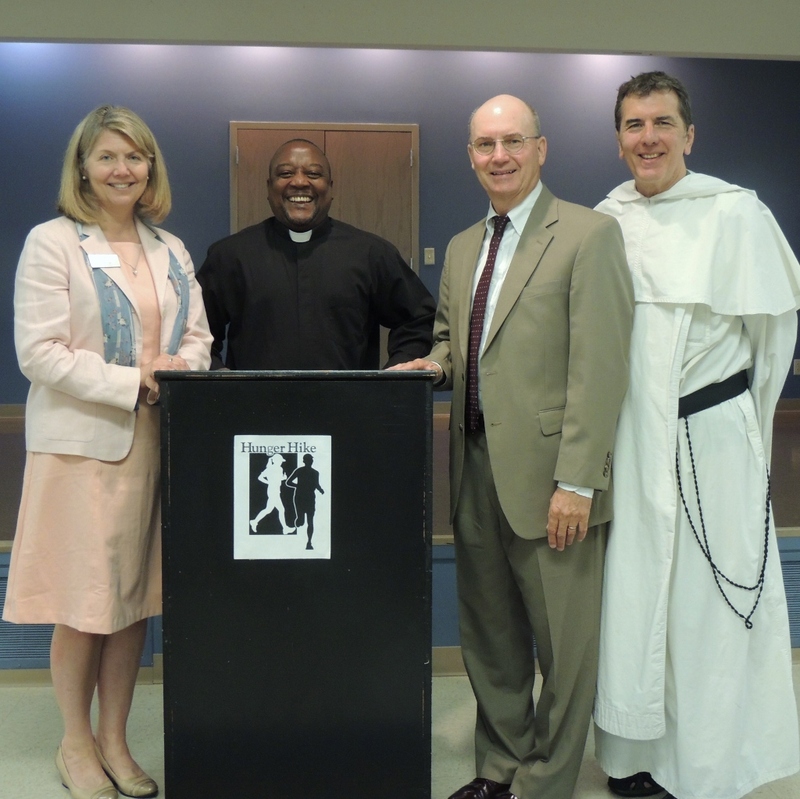 This past Monday, the Hunger Hike team had a rare visit from the pastor from St. Francis Xavier Church in Baudin, Haiti—Father Charles Jean Pierre. Through the Haiti Ministry at St. Thomas Aquinas Center, Baudin is our “sister” community in Haiti. Fr. Charles met with several groups including the Hunger Hike team. His message was simple — thank you, we need you, and you’re having a positive impact. 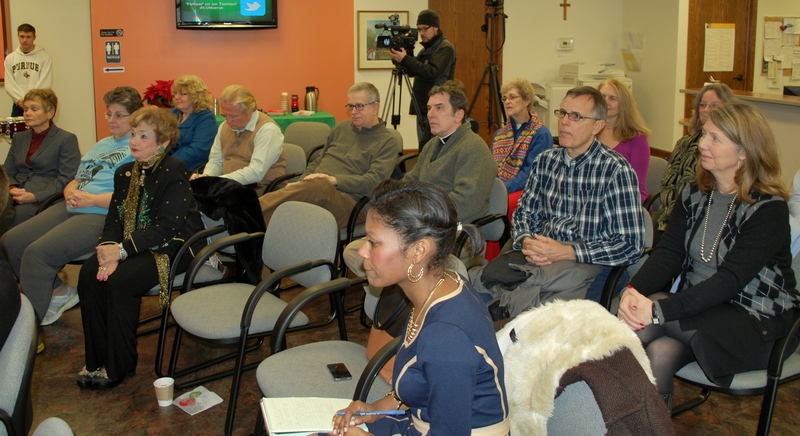 The meeting also included reports from members of the Haiti Ministry, John Ginda & Rob Pahl, as well as the St. Tom’s pastor, Fr. Patrick Baikauskas. If you wish to learn more, please read the recently published News Article covering this meeting, click HERE. To learn more about Hunger in Haiti, click HERE. Please JOIN our Fight Against Hunger—locally, regionally & globally—by participating in Hunger Hike 2015. 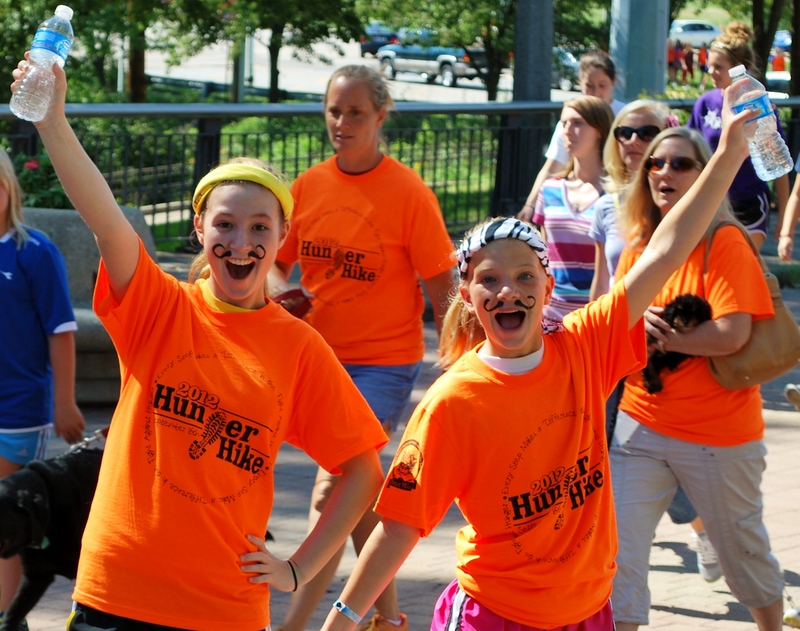 This year Hunger Hike 2015 offers an opportunity for runners to also be a part of the fight against hunger — the HH5K Run — on Saturday, September 19th, one day prior to Hunger Hike (traditional 3K Walk). The HH5K Run is open to runners of all ages and abilities who share a common goal: Fighting Hunger! 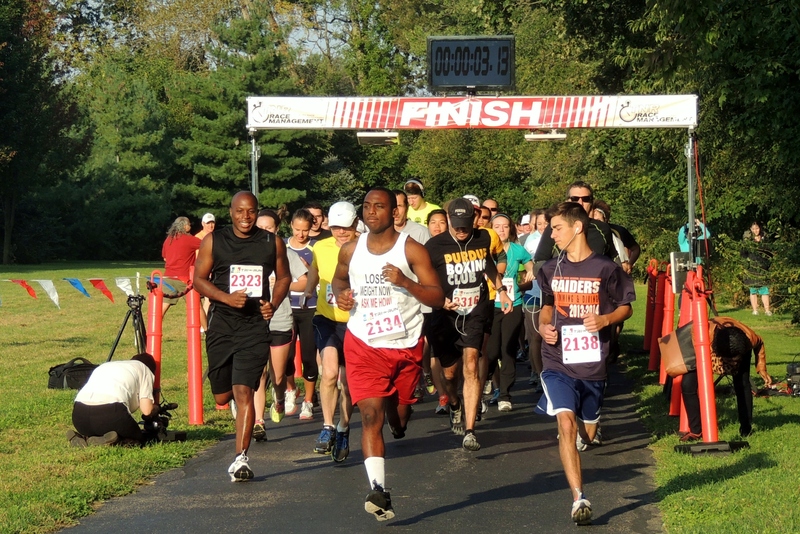 The annual HH5K Run will convene at White Horse Christian Center (1780 Cumberland Avenue, West Lafayette) with start/finish in the Celery Bog Nature Area. The 5K route allows participants to run while a scenic route through West Lafayette in early autumn. All HH5K Run proceeds directly support the Lafayette Urban Ministry food assistance programs including the St. John’s/LUM Food Pantry, Food Finders Food Bank Inc., and St. Thomas Aquinas’ Haitian Ministry including the Haiti Water Purification Project. 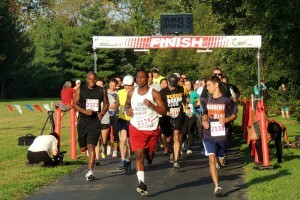 Be a part of the Hunger Hike 5K Run and Race to Feed the Hungry. For more information, route map & online registration form, click HERE. The Hunger Hike keystone event is the opening ceremonies on Sunday — immediately followed by the traditional Hunger Hike 3K Walk. Hunger Hike also includes a 5K Run on Saturday morning. All Hunger Hike proceeds directly support the Lafayette Urban Ministry food assistance programs including the St. John’s/LUM Food Pantry; Food Finders Food Bank, Inc.; and St. Thomas Aquinas’ Haitian Ministry including the Haiti Water Purification Project. It’s an opportunity to support these outstanding local organizations while enjoying a meaningful community event. 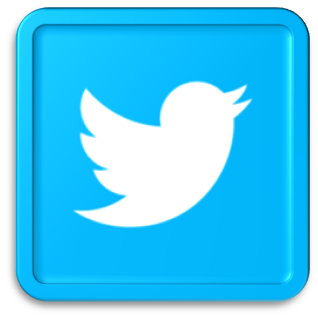 HH5K Run Information, click here. Hunger Hike 3K Walk Information, click here. Make a donation to Hunger Hike NOW, click here. Support a Team, click here. You may recall that last year’s Hunger Hike event fell significantly short of its fundraising goal. It was only through the concern, effort and generosity of people like you, that we were finally able to meet and exceed that goal in early December – a full two months after the event. 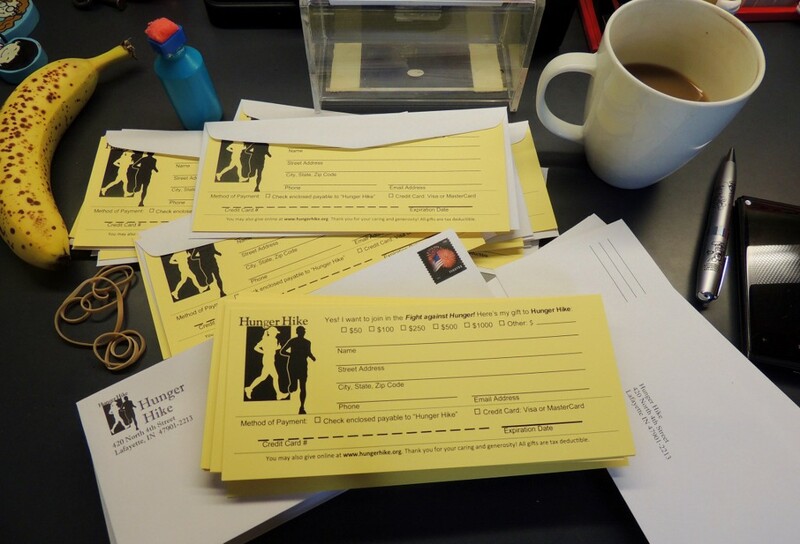 Since that time, Hunger Hike’s three sponsors – Lafayette Urban Ministry, Food Finders Food Bank and St. Thomas Aquinas Center’s Haitian Relief Ministry – have been hard at work proactively reorganizing our Hunger Hike fundraising efforts so as not to have a repeat of last year’s results. 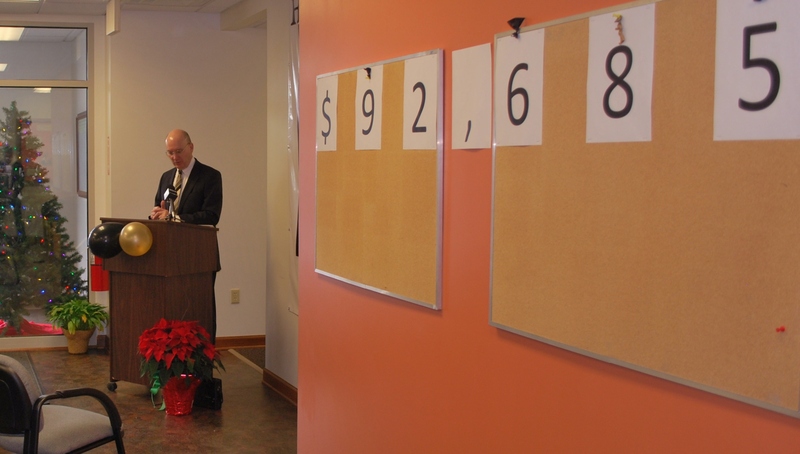 We have been working so hard, that we recently announced to the community that we believe Hunger Hike has the capacity to raise $125,000 this year – a full 30% more than our 2013 goal! 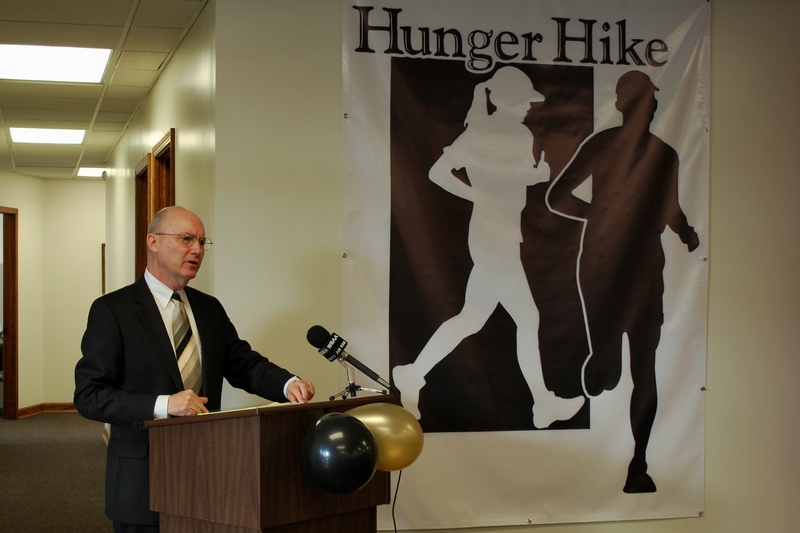 There is so much new energy and enthusiasm in place for Hunger Hike that we are already looking forward to what a successful event might mean for our efforts to feed the hungry. At the Lafayette Urban Ministry, the St. John’s/LUM Food Pantry will extend its hours and be open on Saturdays in addition to its current operating hours during the week. Food Finders Food Bank, Inc. would be able to expand its Mobile Pantry program to fight hunger when and where it is needed the most. We know that you have been a generous supporter of Hunger Hike in the past and we hope that you will join us in our effort to expand Hunger Hike’s impact during 2014. 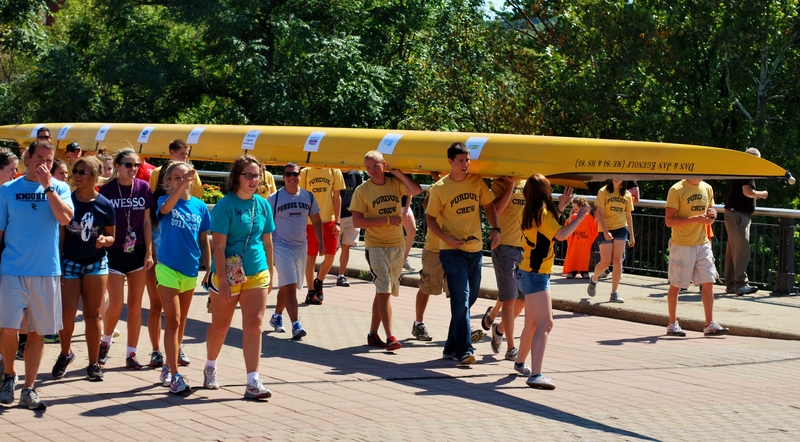 You can also help by making a generous gift to Hunger Hike, right now, prior to the event. Your gift of $35, $50, $100, $250, $500, or more, will allow our three sponsor organizations to expand their programs, respond to pressing need and better fulfill their missions of feeding hungry children and strengthening families who are experiencing food insecurity. 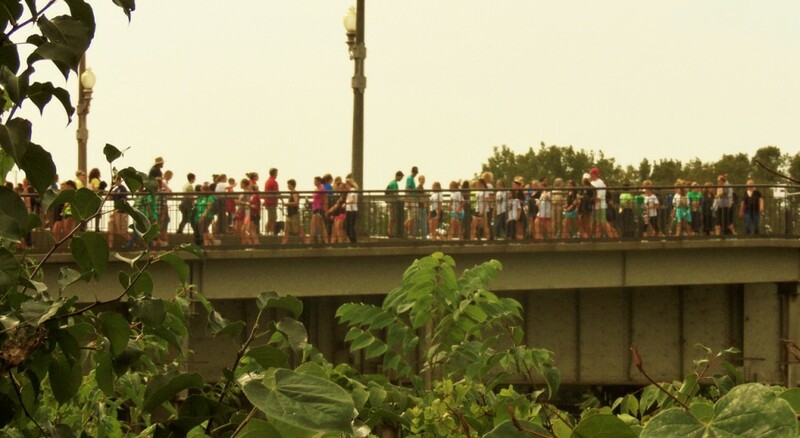 Hunger Hike is our community’s oldest and most well-respected fundraising walk, dating back to the early 1970’s. Last year more than 1,100 people participated in the event. 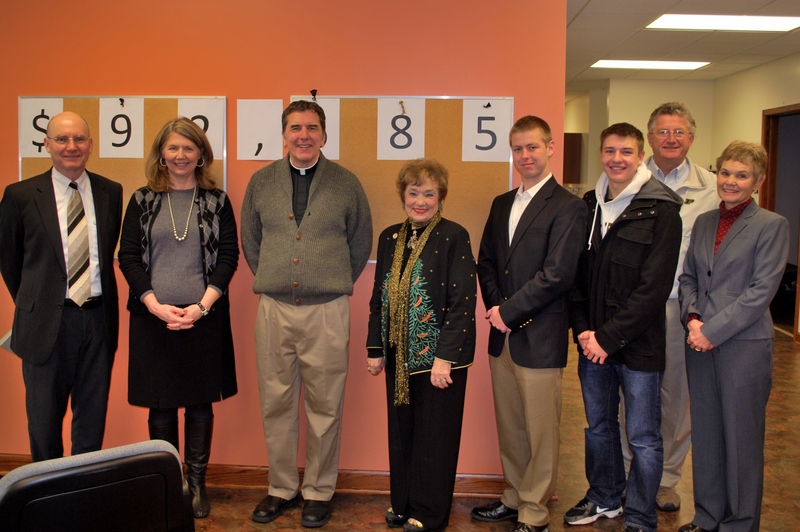 Over the years, more than $1.5 million dollars have been raised, providing a critical social safety net to thousands of hungry children and adults. We hope you will join us again this year by running a little faster, walking a little farther – and digging a little deeper. Help us to meet the new and urgent challenges that face us each day on the front lines in the fight against hunger. PS Please help us to reach Hunger Hike’s expanded goal of $125,000 so that our three sponsor organizations can better respond to the needs of those who come to us for food. Place your gift of $35, $50, $100, $250, $500, or more, into the enclosed envelope and return it today. You may also give online at www.HungerHike.org. How much should I donate? One helpful suggestion is to consider a donation equal to 10% of your monthly food budget or the cost of fast food meals for a month. 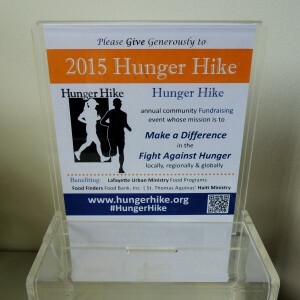 To donate to Hunger Hike, click HERE.